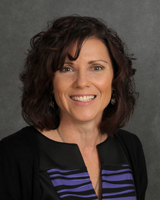 Debra Giugliano is an experienced nurse clinician, leader and educator. She is a Certified Pediatric Nurse Practitioner and Certified Pediatric Oncology Nurse. Her clinical specialties include caring for children with cancer and blood disorders in both the inpatient and outpatient settings. Her responsibilities include managing patient care, conducting research protocols and developing chemotherapy order templates. She completed training as an APHON Pediatric Chemotherapy and Biotherapy Instructor and is responsible for sharing best practices for administering chemotherapy. She is past Vice Chair of the Association of Pediatric Hematology Oncology Educational Specialists and past President of the Long Island Association of Pediatric Hematology Oncology Nurses. Debra was the recipient of the APON Excellence in Pediatric Oncology Nursing Award in 2002, the Sigma Theta Tau International Honor Society of Nursing Excellence in Clinical Practice Award in 2005, the Village Times Herald’s Community Award as “Educators of the Year” in 2006, the LI Business Health Care Hero Nurse Finalist in 2010, the Nassau -Suffolk Hospital Council Nurse of Excellence in 2010 and the Nan Songer Distinguished APHOES Member Award in 2016. Debra is the Founder and Director of the internationally and nationally recognized School Intervention and Reentry Program at Stony Brook Children’s Hospital. The program educates teachers and classmates regarding the psychosocial, medical and educational needs of children with cancer and blood disorders. She has a record of successful grant funding. Debra organizes an annual one day conference, to update teachers, school nurses and other school personnel about current trends in pediatric hematology and oncology. She is actively involved in childhood cancer awareness initiatives and many community events. “School Reentry for Children with Cancer”. Japanese visitors from Hamamatsu University School of Nursing, Kansai University of Nursing and Health, and Meio University Department of Science in Nursing. Stony Brook University medical Center. August 28, 2009. “The Building Blocks for a Successful School Reentry Program”. National APHON Conference. September 29. 2003. The Magical Kingdom of School: The Nurse’s Role in a Comprehensive School Program”. National APHON Conference. September 10, 2009. Orlando Florida. Managing the Educational Needs of Pediatric Hematology/Oncology Patients. 12th Annual AECMN Conference. October 27, 2011. Atlanta, Georgia. “Compassion Fatigue” Panel Presenter. APHOES- AECMN One Voice in Memphis. St. Jude Children’s Research Hospital. May 6, 2016. Memphis, Tennessee. APHOES Meeting 2008 Winthrop University, Mineola NY, APHOES Meeting 2009 North Shore University, Manhasset, NY. “School Reentry: What are the Medical & Educational Issues? Computer Associates. April 5, 2001. Islandia, NY. “School Reentry Issues: Children with Cancer Go back to School.” Computer Associates. May 30, 2002. Islandia, NY. “School Reentry Issues: What are the Medical and Social Issues?” Sheraton Long Island Hotel. October 16, 2003. Hauppauge, NY. “School Reentry: What are the Medical & Educational Issues?” Computer Associates. March 31, 2005. Islandia, NY. “School Reentry: What are the Medical & Educational Issues?” Computer Associates. November 15, 2006. Islandia, NY. “Educate the Educators: The Building Blocks of School Reentry.”  Charles B. Wang Center, Stony Brook University. November 6, 2007. Stony Brook, NY. “Educating the Educators: The Building Blocks of School Reentry.” Charles B. Wang Center, Stony Brook University. November 3, 2009. Stony Brook, NY. “The Past, Present and Future of the School Reentry Program.” Charles B. Wang Center, Stony Brook University. October 27, 2010. Stony Brook, NY. “Celebrating Ten Years of Advocacy.” Charles B. Wang Center, Stony Brook University. October 18, 2011. Stony Brook, NY. “Helping Children with Cancer and Blood Disorders Navigate Change.” Charles B.  Wang Center, Stony Brook University. October 18, 2012. Stony Brook, NY. “Conquering the Climb.” Charles B.  Wang Center, Stony Brook University. October 23, 2013. Stony Brook, NY. “Shine the Light on School Intervention & Reentry Programs.” Hilton Garden Inn, Main Campus, Stony Brook University. October 16, 2014. Stony Brook, NY. "Triumph over Truancy: The Role of School Intervention in Improving Attendance." Hilton Garden Inn, Main Campus, Stony Brook University. October 29, 2015. Stony Brook, NY. “Examining the Heart & Sole of the School Intervention Program.” Hilton Garden Inn, Main Campus, Stony Brook University. October 20, 2016. Stony Brook, NY.